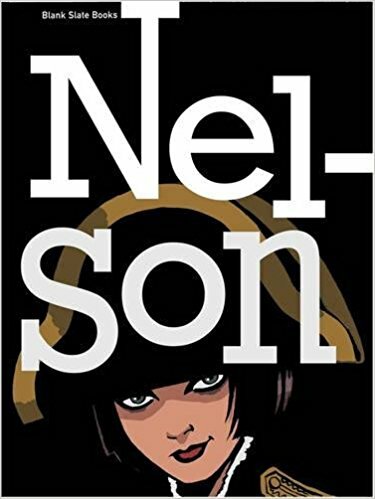 Nelson tells the brilliant life story of Nel Baker, from her birth in 1968 through to July 2011. It concentrates on one single day of her life from every year and follows her ups and downs as she attempts to come to terms with the death of her twin, strives to break the norm and follow her heart. This is only a small part of the beauty of Nelson. This graphic novel is truly unique as it has been created by 54 of the UK’s top comic book artists, each of them giving their unique style to a year in Nel’s life. This idea was the brainchild of Rob Davis, who was so impressed by the talent at last years Leeds based comic book festival The Thought Bubble, that he was inspired to bring as many as he could together to make this amazing graphic novel. One of the things I personally adored about the graphic novel is how many huge historical and cultural events have been packed into this one girl’s life. Without becoming the basis of the novel, it manages to include the moon landing, 9/11 and the bringing down of the Berlin wall, just to name a few (I also especially enjoyed the comparison of The Spice Girls to the four horsemen of the Apocalypse). You may wonder how a graphic novel’s story progresses and if it manages to flow when the visuals and artists styles are constantly changing. This is another testament to the talent of the artists and editors involved, that the characters and the story don’t even begin to waver. You follow Nel through weird kid at school stage, grumpy to wannabe anarchist teenager and up to that point where you are expected to know what you want from life. I think everyone can relate to the stages and situations that arise and although you may be stunned by each different artist’s style, it never detracts from the story itself. As I am sure you can tell already, I adored Nelson. The characters, the styles and the idea itself are all great. What’s even better? All the proceeds from the first 4,000 copies go the charity Shelter. If I had to recommend one graphic novel for gifting this season, this would most definitely be it. An absolute indie masterpiece.